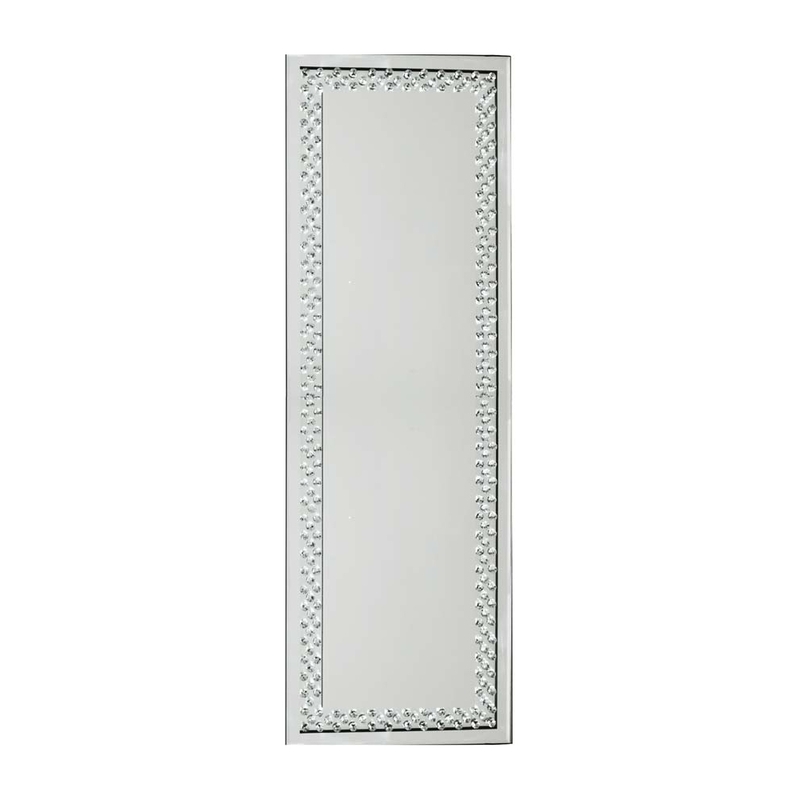 This is such a stunning mirror with gem detailing along the rim of the mirror. This is the perfect mirror for your living room or bedroom. It is the perfect mirror for your bedroom, it will really enhance all the features that your bedroom has, bringing out its pure beauty. This is part of the rhombus mirrored collection.